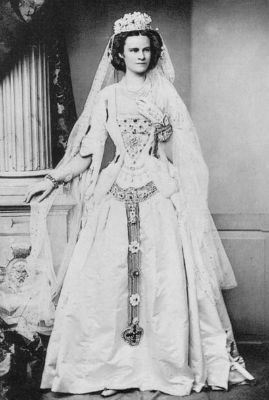 Whaterever happened to Duchess Helene in Bavaria, after emperor Franz Joseph af Austria left her standing, in favour of her younger sister Sisi? 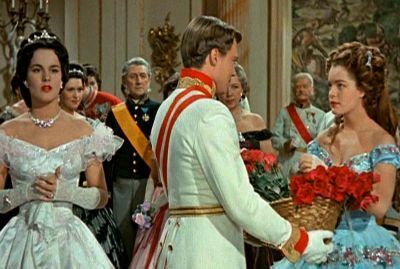 The most devestating scene in the Sissi film is of course, when Franz Joseph appears with his flowers, walks straight past Helene and gives them to Sisi instead. The horror! The humiliation! 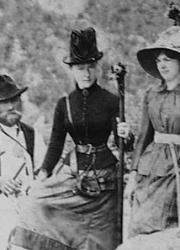 Hopefully in reality Franz Joseph had a more diplomatic approach, if not, it could be the reason why Helene looks so angry on all her pictures! 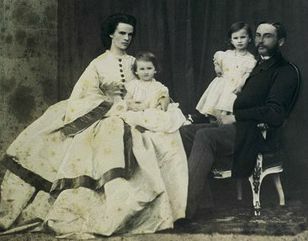 Helene travelled to Bad Ischl in 1853 together with her mother, Ludovika, and her sister Sisi, with only one single goal in mind, getting engaged to Emperor Franz Joseph. This is what their mothers, Princess Ludovika of Bavaria and Archduchess Sophie of Austria set up for them. Ludovika and Sophie are sisters, both daughters of Maximilian I of Bavaria. This means both Helene and Sisi are first cousins of Emperor Franz-Joseph. Helene is trilled by the idea of becoming the Austrian Empress, and she is well equipped for the job. She is obedient and pious and has the right age. But the intriguing mothers and Helene did not take account of Franz Joseph’s opinion. When he met the 15 year old Sisi, he fell head over heels in love with her, and he chose her as his wife, instead of Helene. Helene fell into a deep depression, wouldn’t we all after such disgrace? Her parents where afraid that she would join a convent, and tried to find her another husband to prevent this. They finally arranged a meeting with Maximilian Anton Lamoral, the Hereditary Prince of Thurn and Taxis. They simply invited the whole Thurn und Taxis family for a hunting party at Possenhofen. 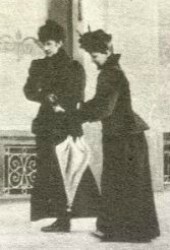 Ludovika made sure that Helene and Maximilian would meet at the dinner afterwards. And, this time mother got it right, they liked each other! 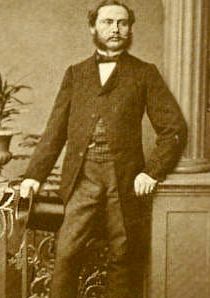 Although the marriage was at first not approved by Maximilian II of Bavaria, who thought Maximilian was not of the right lineage, they got married in 1858, after interference of Sisi and Franz- Joseph, who persuaded the king of Bavaria to give his blessings. Maybe they felt they had to make up something? 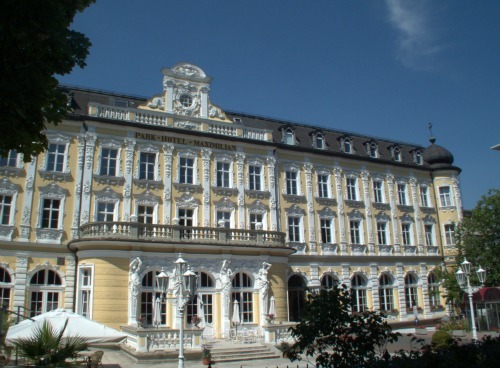 Helene and Maximilliam had a happy marriage, living in the beautiful Schloss Thurn und Taxis in Regensburg. They had 4 children, and their descendants still live there. In fact, she was the only Wittelsbach child with a happy marriage, so in the end Franz-Joseph and Sisi had probably done her a favor by falling in love! Misfortune kept following Helene though, her husband had a weak health and died very young at the age of 35 from kidney failure. Helene did not remarry. She worked for charity and became head of the House of Thurn and Taxis when her father-in-law died and her sons were underage. 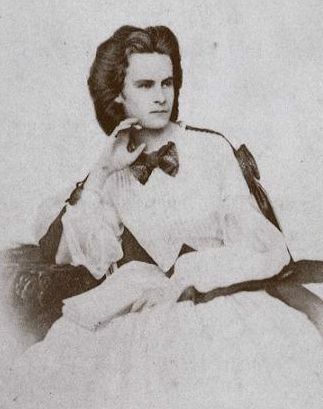 Helene dies on 16 may 1890, age 56. She was buried in the St. Emmeram's Abbey, the family crypt of the Thurn und Taxis family. Today the descendants of Duchess Helene still live in Schloss Thurn und Taxis in Regensburg. 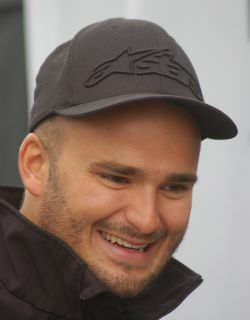 Prince Albert II, the 12th Prince of Thurn und Taxis, born in 1983 is now head of the family. He is the great-great grandson of Duchess Helene, a billionaire and (ladies!) still single! To explore the medieval city of Regensburg you can take a day trip from Munich. With a guide you will take a walking tour in the narrow streets and squares of this UNESCO-listed Old Town (Altstadt). If you want to spend more that one day in Regensburg, accomodations can be found here. If you want to spend your time in Regensburg in style, book at this Bavarian palace in Baroque-style. It is now a 4 star hotel in the centre of the Old Town with easy access to restaurants and shopping. As it is located in the heart of the city of Regensburg, with its long history and many museum, the location is perfect. Much cheaper, but with great views on the Castle Thurn and Taxis, you can stay at this Bed and Breakfast with 7 rooms. It is also located in the center of Regensburg, right across the Palace St. Emmeran, house of Thurn und Taxis.